The SHO!L is a reversible, rectangular shwal that can be worn in very many different ways. 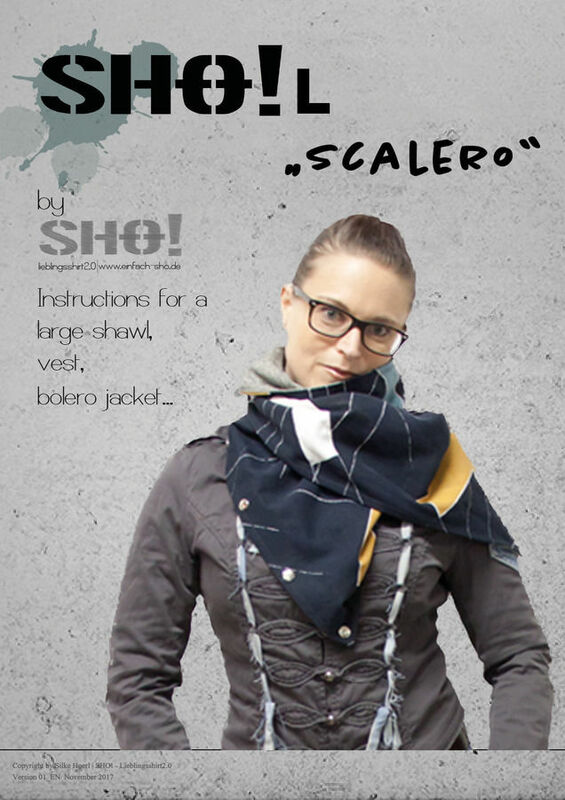 You can either wear it as shwal, triangular scarf and even as vest or Bolero jacket. It is very easy to sew and I will guide you through the single steps, so that you can sew your own, individual SHO!L, starting by taking your own personal measurements.